What happens when you get a bunch of amazing artists together who like to paint Christmas Ornaments? 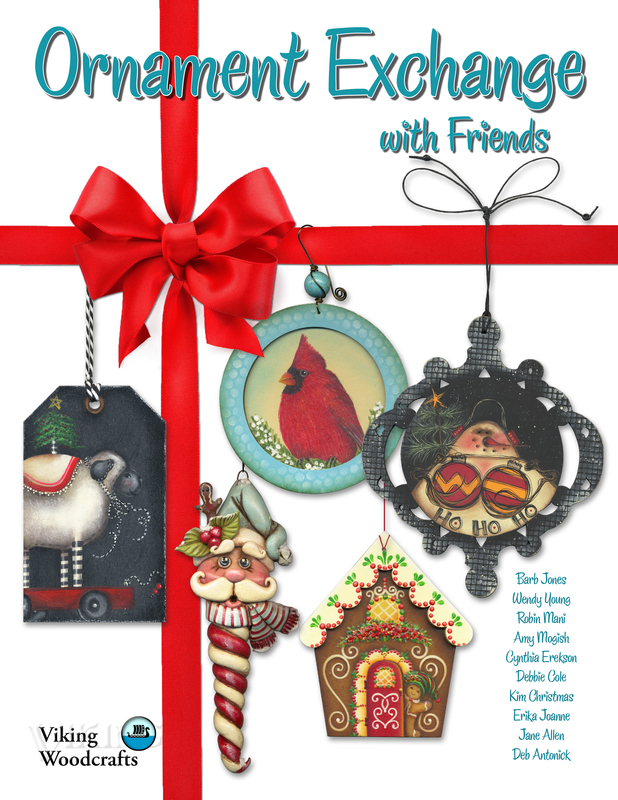 That’s right, you have an ornament exchange and share all the wonderful new designs with your painting friends in a book. “Ornament Exchange with Friends” will be coming out at HOOT 2017. Please check out your favorite artist website to get the book or pick it up at HOOT from Viking. I think you will have to agree with me, it will be hard to pick a favorite with so many wonderful designs. Bearded Santy & Ho Ho Ho! You Can’t Catch Me! I’m the Gingerbread Man! Hope you enjoyed our book tour! Thank You Effie, it is a nice mix. I have a pattern for a nativity triptych but no painting instructions. It was designed by Jane Allen. Would greatly appreciate it if someone could help me find this info.